Fixed work platforms are a simple, but incredibly effective solution to help keep personnel consistently productive. The best work platforms in this category are designed to provide workers with a stable surface that allows them to access hard-to-reach areas. There are several designs available in this category so that the widest variety of needs can be met right away. 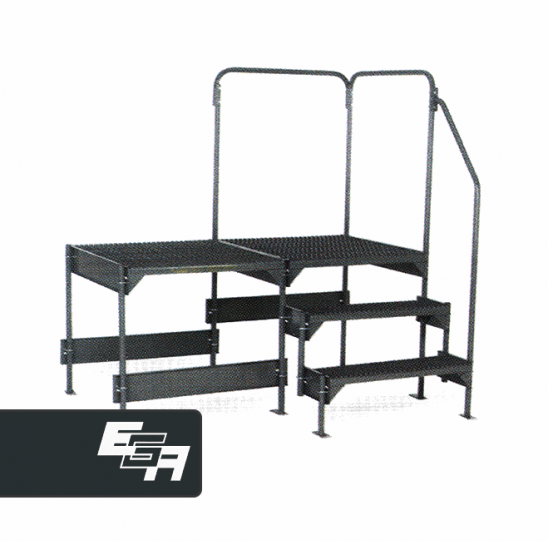 You’ll find single worker platforms that are one-step or two-step solutions for quick access to tough spots. 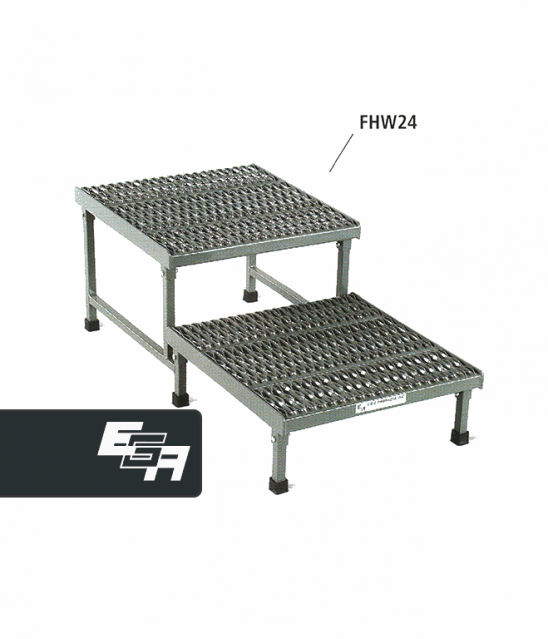 We also offer multiple worker platforms that are 3 steps or more for higher access points. Here are some of the features you can expect to find with our fixed work platforms right now. Adjustable Height. 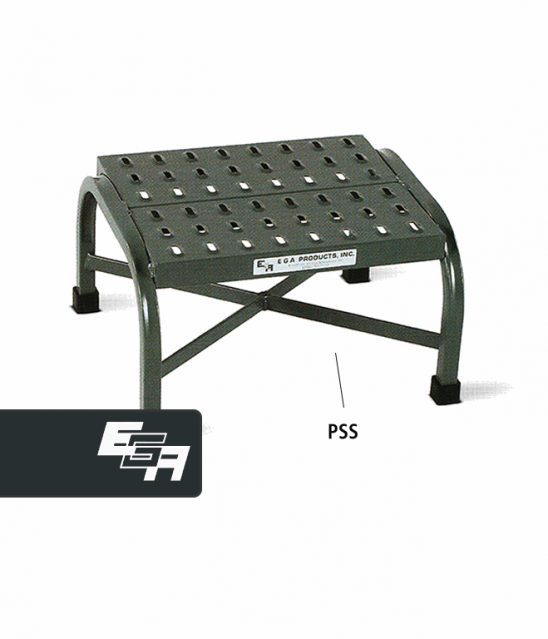 This feature is often available on single-step stationary work platforms. It allows personnel to lock in a specific height so they can access a specific point without strain. Non-Skid Surface. Each work platform has a corrugated surface with raised points to give workers the traction they need. The design also prevents tools from dropping through the platform, but does allow liquids to fall through. Effective Powder Coating. There are a wide variety of materials used to create work platforms today, from fiberglass to aluminum. 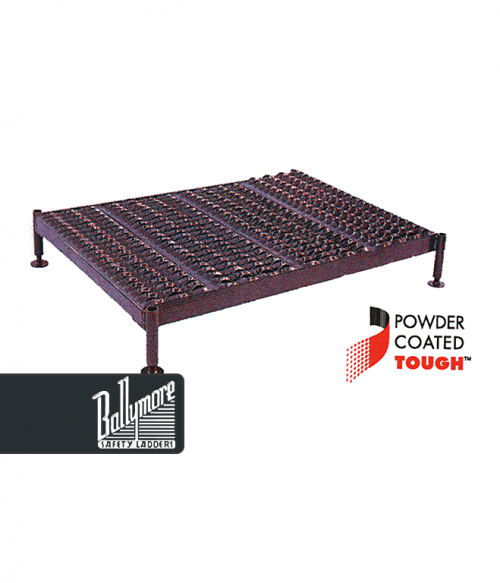 To avoid corrosion, look for platforms that are powder-coated for a tough experience. Each fixed work platform meets or exceeds current safety regulations that are present in the United States. This includes handrails being available on 3-step solutions. 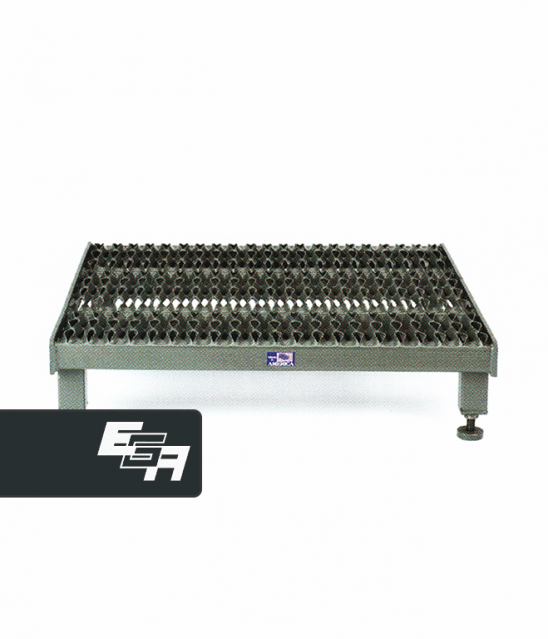 At Factory Equipment, we strive to provide you with the greatest variety of work platform solutions so that you can get what you need and then get to work right away. Our team also understands that there are times when a standardized solution just won’t do everything you need a platform to do. That’s why we also offer complete customization services with our work platforms. Just let our team know what your specifications happen to be and we’ll get to work to find the correct solution so that you can get the job done.